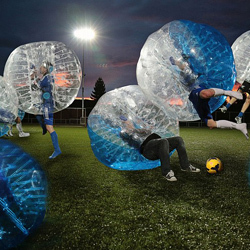 Bubble Soccer is a exciting new sport that has arrived in South Africa to create the perfect scene for your event This full contact sport without the pain will thrill contestants and spectators as they enjoy the hilarious game unfold. 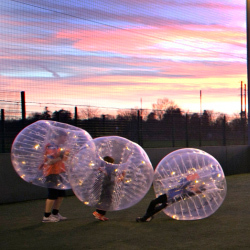 The sport of bubble Soccer is great for team building, bachelor parties, social games and for kids parties. 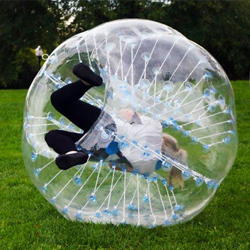 We have 2 size balls, the 1.5 for adults and 1.2 for younger children. 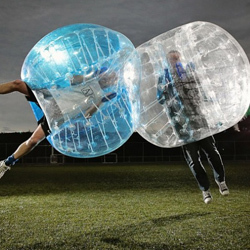 For your Next Level event or party book your game with Xtreme Scene Events. 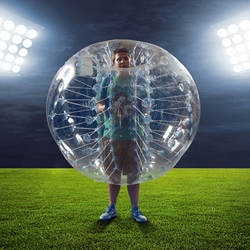 An event coordinator to host and Ref the game. 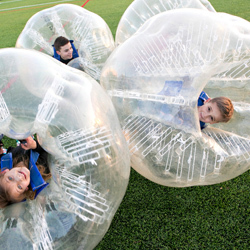 A unique set of additional games which takes the experience of bubble soccer to a whole new level.